Businesses of all sizes benefit from Ergonomics. Your employees and your bottom line will be healthier. Musculoskeletal disorders, lost time and inefficient processes cost companies money. Strengthen your business by improving the safety of your company and the health of your employees. 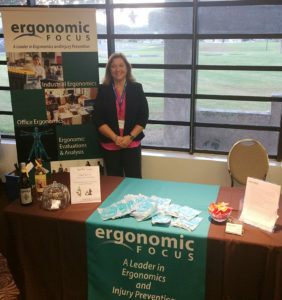 Ergonomic Focus will help you implement customized strategies for reducing risk factors associated with common musculoskeletal disorders, and assist with developing your ergonomics program and processes.